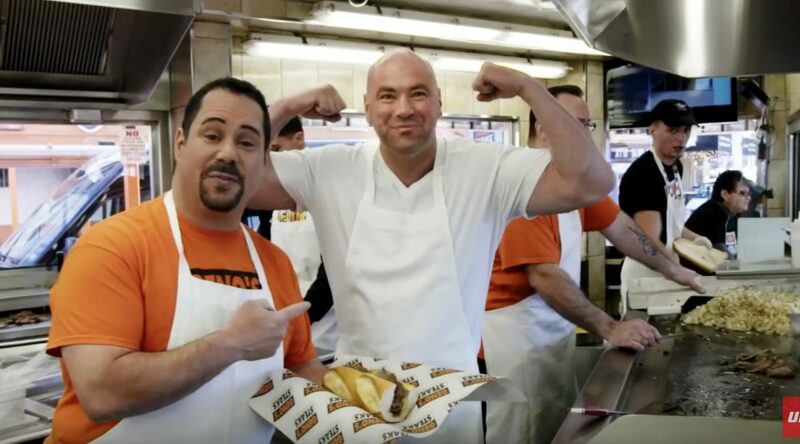 Geno’s Steaks & our famous Philly cheesesteaks on UFC Owner Dana White’s show Lookin’ for a Fight. UFC President Dana White travels around the country with his friends, sampling the best in local food, fun and fights as he scouts up-and-coming MMA talent. Watch Dana and his friends enjoy a famous Philly cheesesteak! Like what you see? Check out our menu and stop by Geno’s Steaks to try the famous Philly cheesesteak yourself!